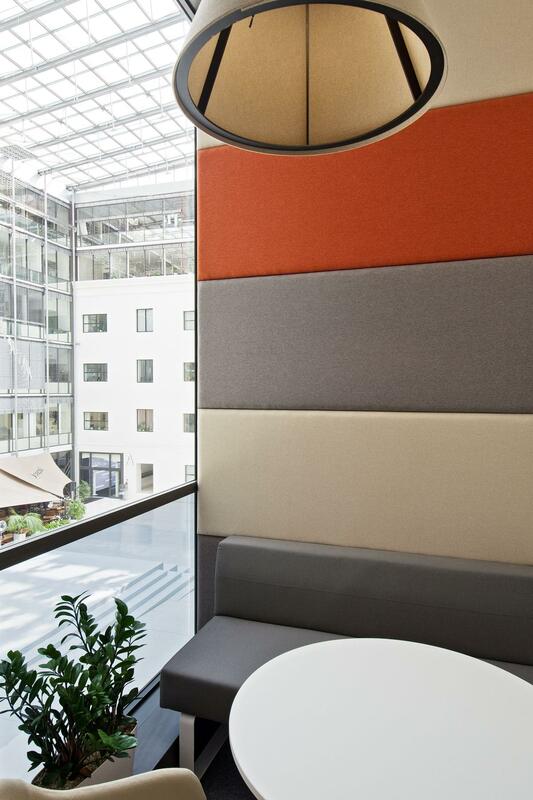 The four floors of the offices of Sodexo Pass, which provides companies with employee benefits, have received a new look. 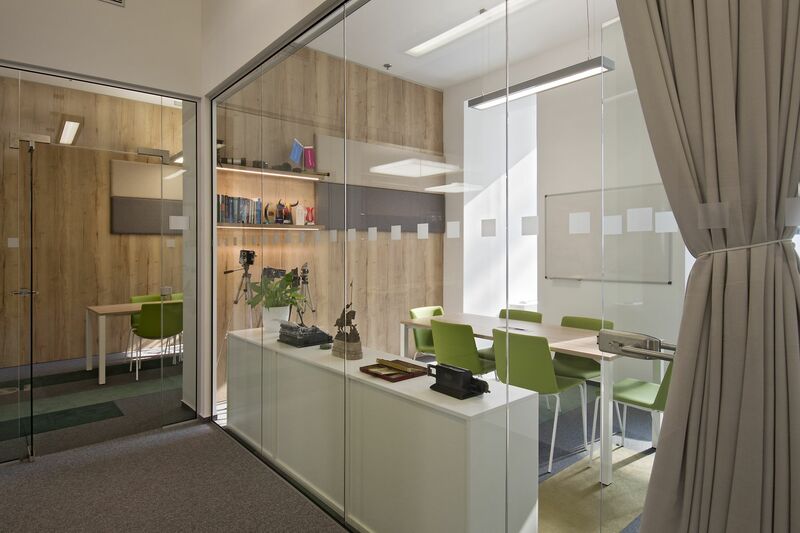 The turnkey project included a complete change of design and reconstruction of existing offices. 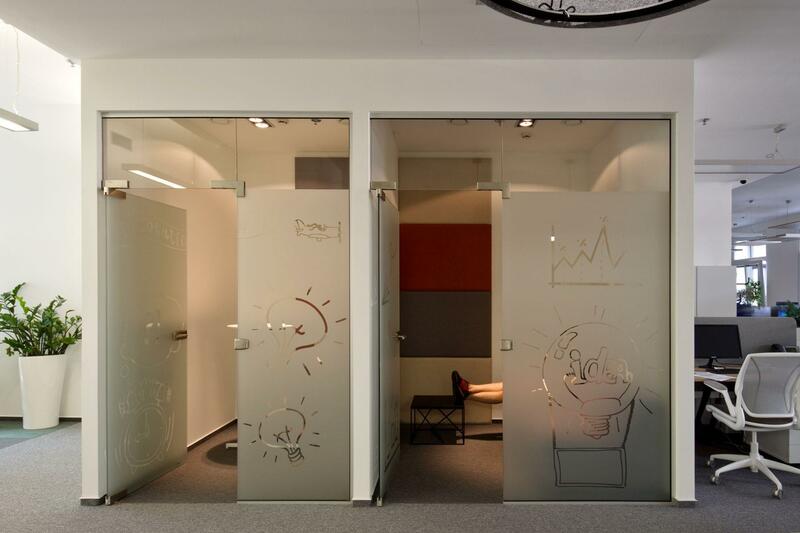 Sodexo's representatives wished to change the layout of the offices and improve working conditions. 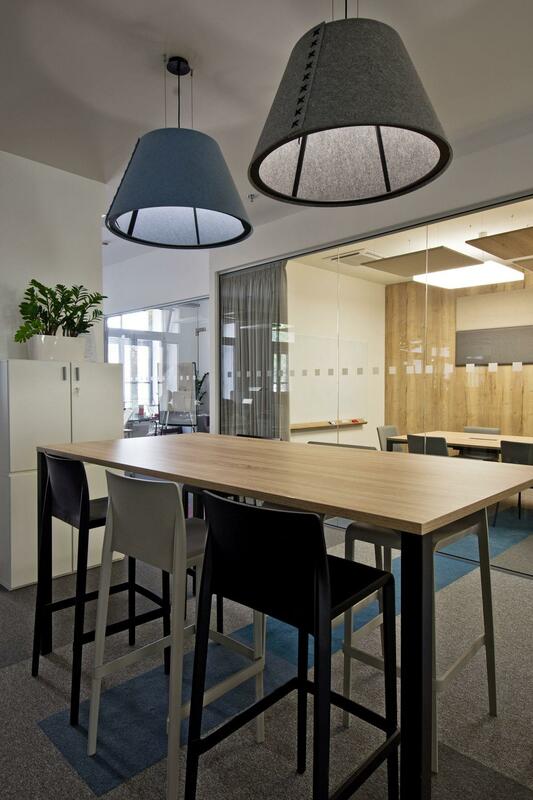 The task was to open up the rooms and bring in air and daylight to create a new, modern, comfortable working environment. Sodexo has been housed in its current premises since 2007. Over the past 10 years, the company has undergone considerable development and has grown in particular as regards the number of employees. The original spaces were dark, lacking spaciousness and a clear layout.. 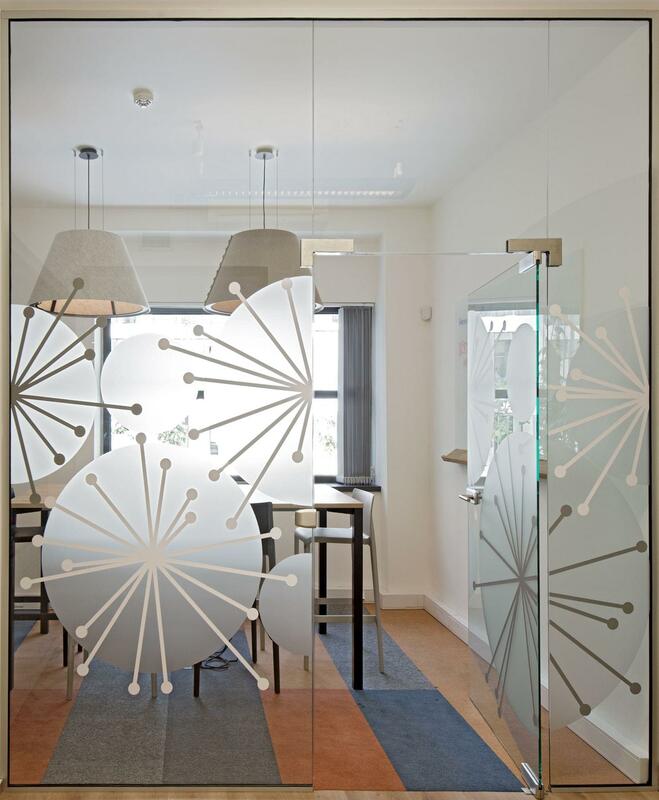 The advantage of this project was the fact that the client is well acquainted with its processes and the flow of information and people in the office, and therefore the needs of each department, thanks to which the project objective was very detailed. The client was deeply involved in the selection of materials, colours and the arrangement of the space. Each of the four floors has a specific function and hence different layout and acoustic requirements. The first floor is operational; apart from several workstations, it contains mainly storage areas and machines. 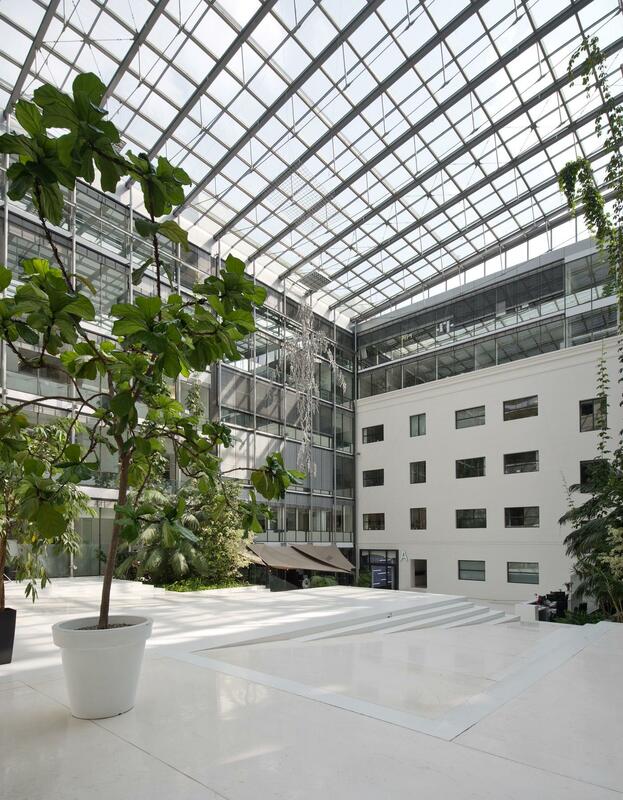 The second floor is dominated by three conference rooms as well as social facilities and a kitchenette. 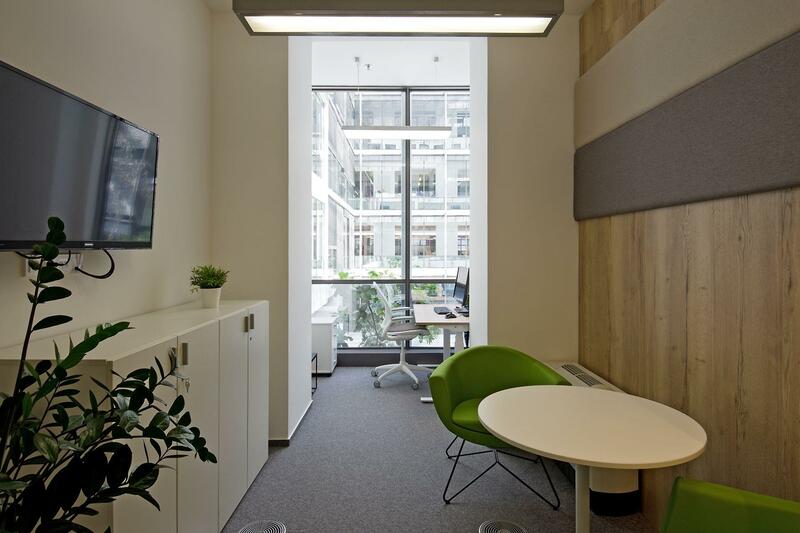 The office zone is upstairs – it is an open space along with closed offices primarily for executives and positions with higher privacy demands. On the top floor there is a separate section for the telesales unit. Each department has a wall with backlit shelves, lined with acoustic tiling, which generally reduces the spread of noise in the open space. At the bottom of the wall there are storage spaces. 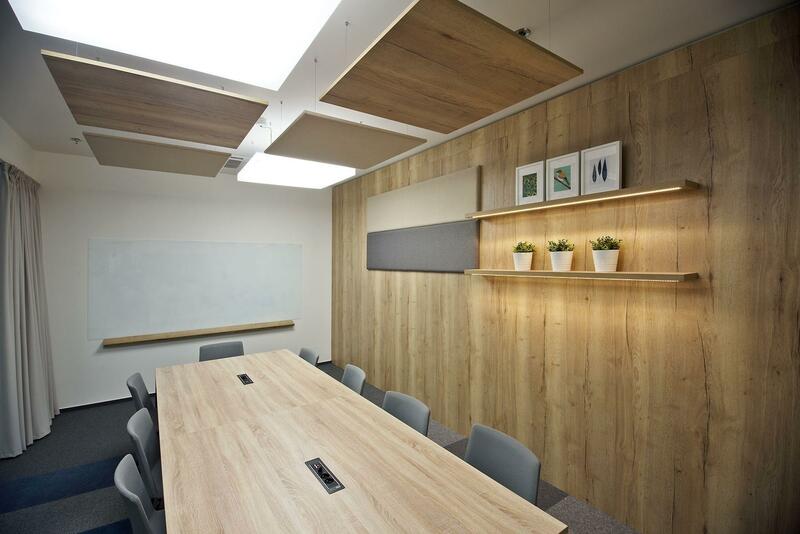 Acoustic comfort is ensured by atypical wooden, partially cushioned, acoustic ceiling panels combined with Modulyss First carpet tiles in basic grey, which is complemented by colourful Cambridge series carpet tiles in the shape of lines symbolizing a barcode. The colours of these interior elements were chosen by the client. A specific feature of the reception area is the distinctive backlit logo. The common areas are complemented by Pedrali bar stools and Sorriso green armchairs made by Profim. The interior of the kitchenettes above the dining tables is dominated by original acoustic BUZZY SPACE lights. The core of Palác Křižík is a compound of heritage buildings between the Radlická, Plzeňská and Kováků streets. These buildings underwent comprehensive refurbishment and were retrofitted with seven aboveground floors and four underground floors as part of a later upgrade. The result is an up-to-date office complex with 290 parking spaces, a covered atrium, 3 catering and restaurant establishments, retail space and a public mall. Each of the two parts of the complex (the earlier and the later) has its own central reception desk with a contemporary design and a 24/7 service. The buildings are equipped with a high quality ventilation and air conditioning system, allowing for natural ventilation by opening windows to a certain degree. The advantage of using several heritage buildings is that the complex can accommodate the various brands of the individual anchor tenants. 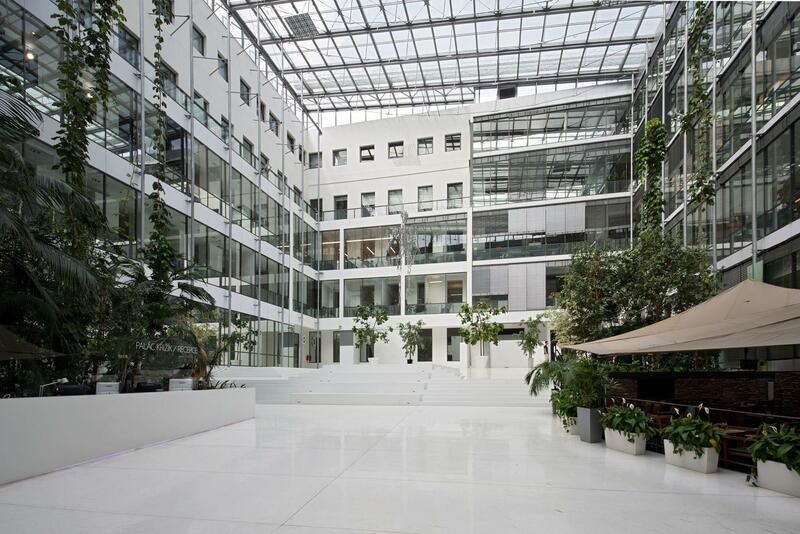 The modern annex structure has been certified BREEAM Excellent. The complex is equipped with an electronic fire alarm system, ACS Control, CCTV and an intelligent building management system. Do you like the reference? Share it. 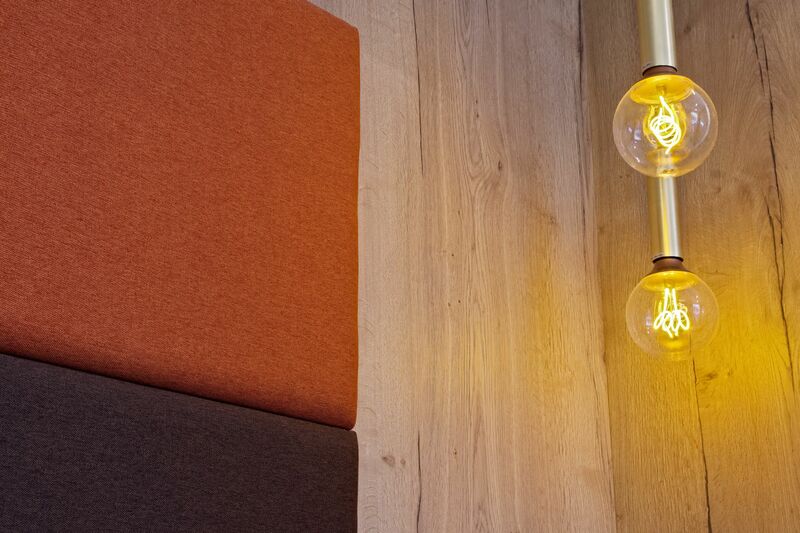 Want to sit in an office that looks like this?